What is left here once the feast is over? The pavilion’s introductory exhibition in New York in March, 2013 was like a prelude for a one-act opera. The exposition in Venice from June untill November, 2013 of the same year – the performance itself; one visitor even wrote – I was astonished and thought it was a real coup de théâtre. Returning from the guest performances, the pavilion exhibition in Riga has something to do with deconstruction – the decorations are being taken out and a new version of the constantly changeable – choreographed once more. The exposition in Riga is formed taking into consideration the specifics of the space, the photographs of Kaspars Podnieks’ series Rommelis’ Dairy (Rommeļa pienotava) will be displayed along with the video pieces and the installation by Kriss Salmanis – a motorized animation of the “moving tree” exhibited in the Venice Biennale. The exhibition in Riga is conceived in collaboration with architect Austris Mailitis. 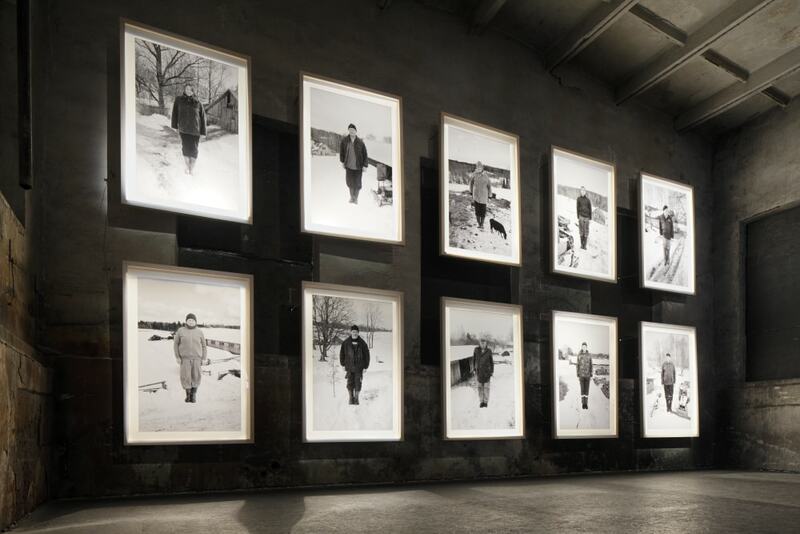 The Pavilion of Latvia at the 55th International Art Exhibition – la Biennale di Venezia – was organized by Kim? Contemporary Art Centre in collaboration with the New York art space Art in General. 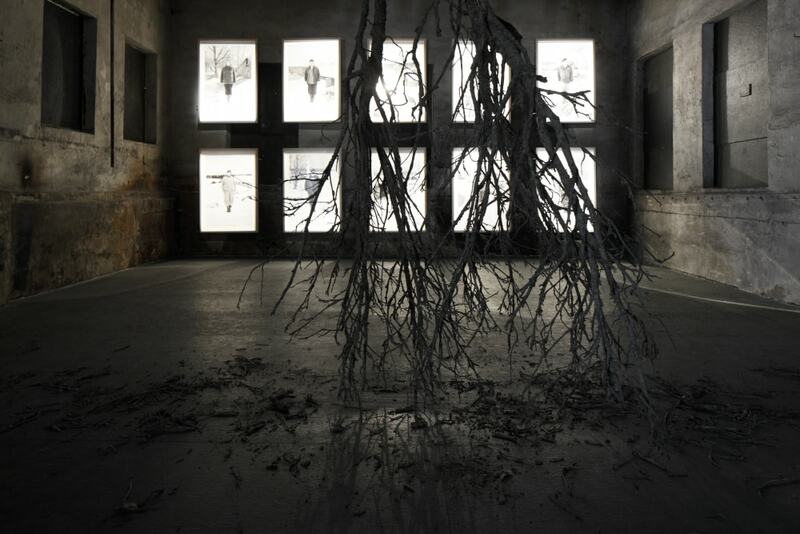 New art work, created especially for the Arsenale of Venice were exhibited in the exposition North by Northeast – large-scale photographs and videos by Kaspars Podnieks with the peasants of Drusti portrayed on the background of their farms, and the installation by Kriss Salmanis – rhythmically swaying tree. Unfolding the relationship between the artist and the real and constantly changing, man-made world, including the imaginary boundaries of Europe and it’s centres, the artists focused on highlighting matters of identity, uncertainty and intermediaries. 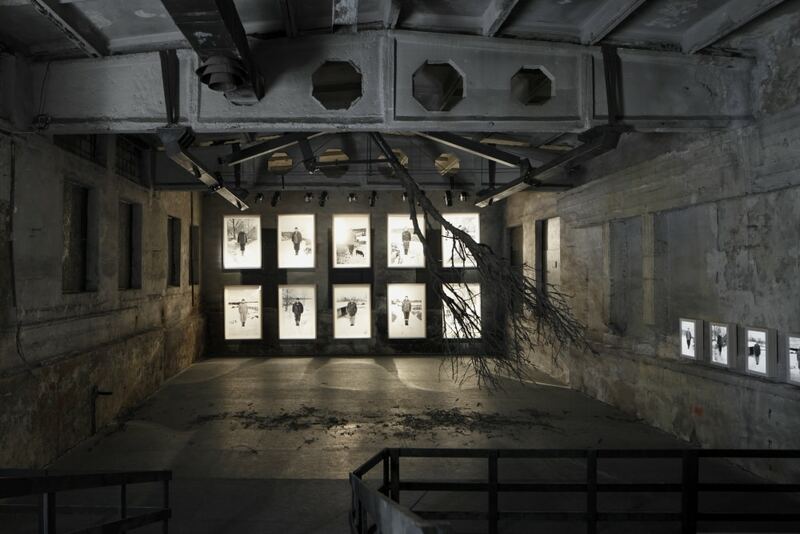 The Pavilion of Latvia at the 55th International Art Exhibition – la Biennale di Venezia – closed with a record-breaking number of 222 620 visitors during it’s six months of the Biennale. Within the project Kim? has published the catalogue North by Northeast for the exposition of the Pavilion of Latvia that will be available during the exhibition in Riga. Kaspars Podnieks (born 1980) has been taking part in exhibitions since 1998. His work includes photography and video, installations and environment objects. Recent joint-exhibitions: Generation of the Place: Image, Memory and Fictions in Baltics (2012) in Kaunas, Lithuania; Preview Berlin (2011) in Berlin, Germany; Life in the Forest (2011) in Bialystok, Poland. Solo shows: Communicating Vessels (2011) and Unusual Place (2010) at Kim? Contemporary Art Centre in Riga, Latvia. Kaspars Podnieks is an active participant in the social and political activities in his birthplace , the village of Dr usti, since 2005. Kriss Salmanis (born 1977) works in the fields of photography, video, installations, animation and graphics and has taken place in international exhibitions since 1996. Recent solo shows: Light (2012) CAC in Vilnius, Lithuania; The Fragility of Trust (2012) gallery Alma in Riga, Latvia; The Earth may be spinning around the Sun, but the World is turning around me (2011) Raum linksrechts in Hamburg, Germany; Moving Landscape (2011) Contemporary Art Gallery in Bremen, Germany.